This macro will display the callouts with the diameter values of all selected circular edges in the 3D model using ISelectionMgr::CreateCallout2 SOLIDWORKS API method. This can be useful while inspecting the model and it is required to see multiple diameters at the same time. The callout is a visual element in SOLIDWORKS which displays data organized in key-value pairs (single or multiple rows). 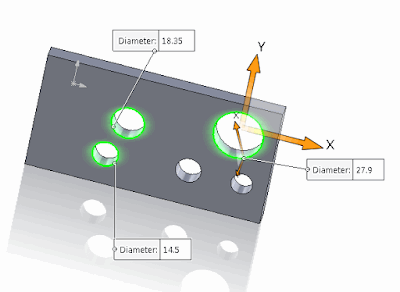 The callout elements are used in some standard SOLIDWORKS tools such as Measure tool. Usually callouts are attached to the selection and destroyed once the object is deselected. 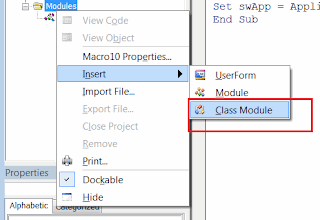 MsgBox "Please open the model"
Create new class module and name it HoleDiamCalloutHandler.